Keihin Valve Corporation (KV) has developed, manufactured, and sold a wide variety of valves including automatic valves such as solenoid valves, motor valves, constant flow valves, and level control valves. 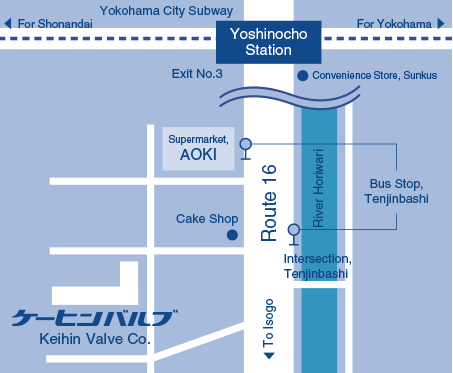 Keihin Valve Corporation (KV) is one of the Keihin Corporation Group. 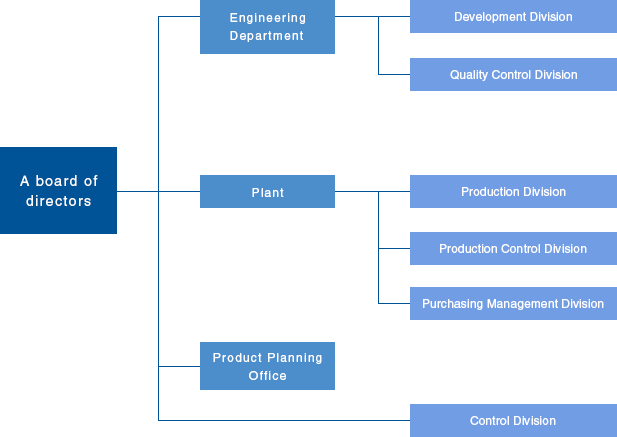 Keihin Corporation is a leading manufacturer of integrated systems in automobile, motorcycle, and general-purpose business to provide world-class products. Throughout the world, all are striving to realize our “mission statement” and create a corporate culture worthy of Keihin. It is precisely this “centripetal force toward a single goal” that is the driving force for us at Keihin. We shall contribute to the future of mankind by the continuous creation of new value. We shall challenge ourselves to any matter with ambition and vitality. We shall give importance to theory, ideas and time. We shall respect sincere conduct and endeavors. After you go out from exit no. 3, please go to the right. Turn right at the first corner and go straight approximately 1km (=0.62 mile) (a 14 minute walk). Passing a supermarket, AOKI, turn right before a intersection, Tenjinbashi. And, you can find a building, Keihin Valve Corporation, on your left at the first crossroads. Keihin High Flow Sale Co., Ltd.